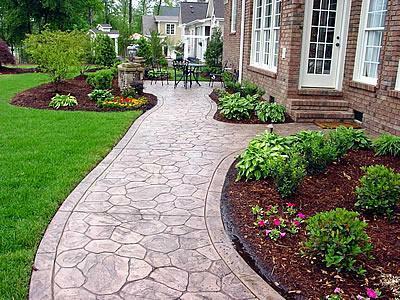 At Crescent DC our contractors have been building concrete walkways and been in business for well over 15 years and have created durable designs and tasteful additions to family estates in the DC and surrounding areas. 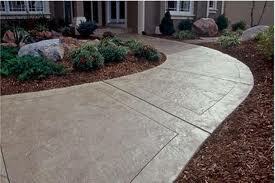 Let us create something inspiring and unique for your yard with concrete walkways! Far from its origins, we are not referring to its days as grey boring slab, we are referring to the newly invented concrete that can be any color and mimic stone and brick. At Crescent DC we truly enjoy our work and that is what makes us stand out from the rest. We go above and beyond to give your walkways, retaining walls, patios, deck, steps, driveways and more the most intricate and expensive look possible. It is our artwork that we leave you with and strive to make it something that you can cherish for a lifetime. Not only do we bring you the best products, craftsmanship and customer service but you can feel at ease putting your trust in a business that has been working in many of your surrounding communities and neighborhoods. We currently serve and work within Arlington County, Fairfax County, Oakton County, McLean, Clifton, Fairfax Station, Great Falls, Oak Hill, Ashburn, Falls Church, Alexandria, and Burke Virginia. And that’s just to name a few! We are conveniently located so that we are also able to serve Maryland and Washington D.C. as well.